Sliding glass doors are a great feature in any home because they provide easy access to outside. Not to mention, sliding doors promote natural lighting in the home and don’t intrude on your indoor or outdoor living spaces. But, finding window coverings for sliding doors can be a challenge because they are large areas that are frequently used. 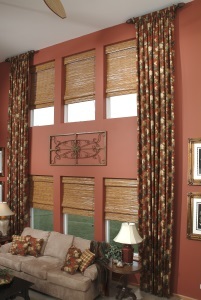 So, the right window covering must not only look great, but maintain the function of the door. 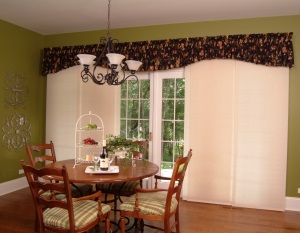 When choosing window coverings for sliding doors, there are many things you need to consider. 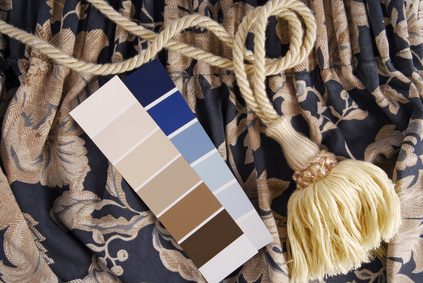 When it comes to choosing a pattern for your drapery panels, you have a plethora of options. Choosing patterns for your window panels is a fun and exciting time, but you have to be careful with your selection. The pattern you choose can either make or break the appearance of your room because not all rooms can carry a pattern. When choosing a pattern for your draperies, there are many things you must consider to pick the best pattern to match your room. Prior to choosing a pattern, stand back to take a good look at your room’s current décor. 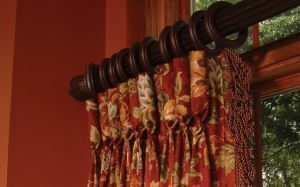 While patterned curtains add instant decoration, you don’t want a pattern to clash with your current décor. If your room already has patterns, such as patterned wallpaper, furniture, or bedding, you don’t want to use boldly patterned drapes because it will overwhelm the room. Your objective when choosing a pattern is to enhance the features of the room without taking attention away from your current décor. If solid colors make up the majority of your room, don’t be afraid to experiment with bold patterns, like large prints. Adding bold patterns to solid colors will mesh well with the existing décor while adding eye-popping color to the room. 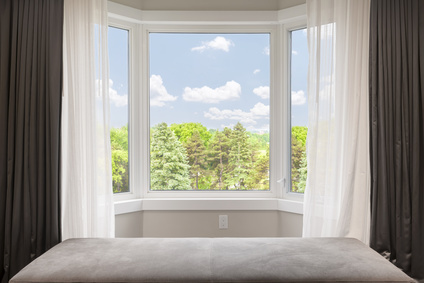 Nothing says “welcome” like elegant windows in front doors; however, as beautiful as the windows may look, they compromise the privacy of your home. 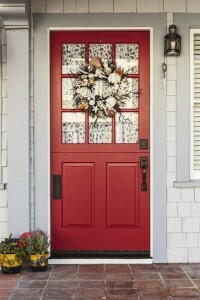 Choosing the best window coverings for front doors will make your home more private without taking away from the beauty of the entry way windows. Since windows for front doors come in all shapes and sizes, you need to choose the most appropriate coverings to control light and privacy, while maintaining the elegance of the windows.